Both online and offline creative writing courses have something in common: What you get out proportionally matches what you put in. When you join an online writing course, you get access to course resources such as workbooks immediately. Work smart and read through some of the course material before the course is underway. Stress is a major factor in why we sometimes give up. Engage and focus from the start so the time you are required to put in doesn’t have a chance to become unmanageable. In an online learning environment, you’ll have a resource page where you can download workbooks or other documents, a forum where you can interact with other members, and other tools and features depending on the course. David Gatrell, in an article on setting yourself up for success when learning online, stresses the importance of orientation. If you’re unsure where anything is, contact your online writing course’s support for help. What can I realistically expect as an outcome? The second question is particularly important. Going into a creative writing course expecting to emerge a master of the subject when you have only a few minutes per week to engage with the material or other participants isn’t a realistic expectation, for example. If there’s a good deal on a writing course and you don’t currently have time, see if you can enroll now and commence the course itself at a later date. 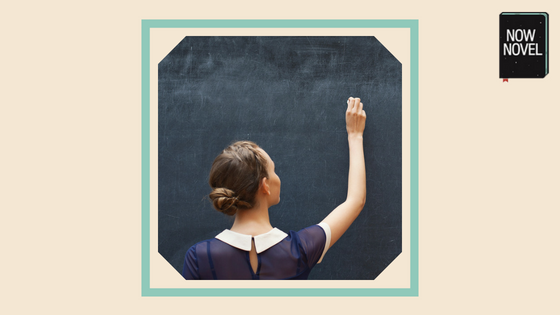 Interactivity is a key aspect of course-based learning, whether in person or online. Sometimes we hold back in a learning environment because we’re embarrassed to reveal our ignorance. Or perhaps there are big personalities in the group who dominate discussion. Remind yourself you’re taking a course to learn. If you knew everything and were incapable of making mistakes, you’d have no desire to take a course in the first place. So introduce yourself to other participants, and share your ideas and vision. Also remember to communicate with your course leaders and/or facilitators. Unsure how to access a resource? Wondering if you’ve understood a term or concept? Just ask. The more you communicate and open yourself to conversation, the more you learn. Online writing courses often attract the introverts among us because meeting face to face, and receiving critique in this type of workshop environment, can be daunting. Yet keep communicating as expressing your needs and desires is crucial to fulfilling them. In a good online creative writing course, you’ll receive reminders to help you stay on track and there’ll be some structure to how the course unfolds. Yet it’s also crucial to self-motivate. Set times in an event planner like Google Calendar to do workbook exercises. Share exercise results with other course participants in your group chat or discussion forum. As Maya Angelou and many other celebrated authors have shared in countless interviews, consistency, ‘showing up’, is a key part of productivity and personal growth. There’s a reason countless students in lecture halls sit pen in hand, taking notes. Copying out information manually helps us internalize and digest it. It gives us notes in our own voice we can refer back to. What’s more, many of the great creators, from literature to visual art to music, have refined their craft simply through the act of copying. Taking an idea, a concept, a line or phrase and putting it in your own words is a simple but effective way to transform information into knowledge. So rephrase and paraphrase course information. Make yourself checklists and other visual learning aids if necessary to absorb key ideas and concepts fully. Submitting work for feedback from a course leader doesn’t have to be a scary prospect. Occasionally, we find course members drop off and don’t respond to emails checking in and following up on their progress. Procrastination is one reason we sometimes don’t finish what we start. Feeling daunted is a key cause of procrastination. Want to improve your writing? Or start a book you’ve been wanting to write forever with beginning guidance from a published author or professional editor? 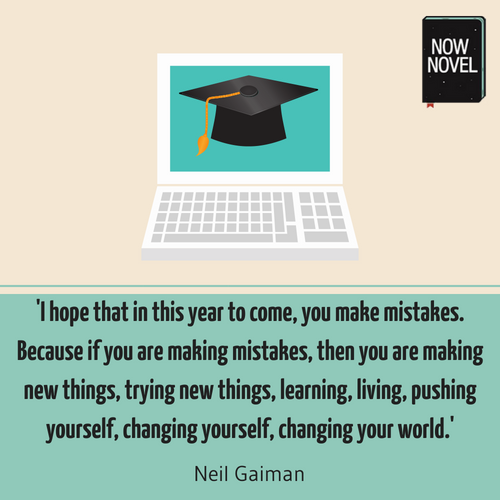 Enroll in a Now Novel course.